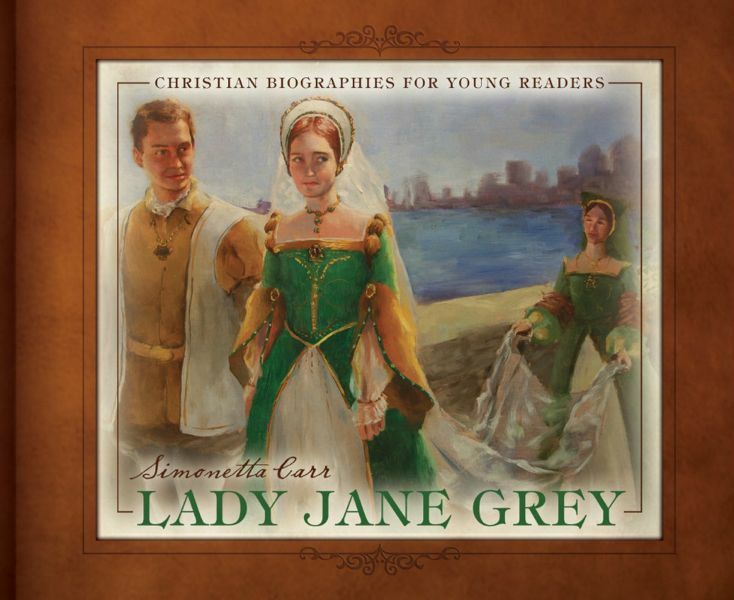 Lady Jane Grey, by Simonetta Carr. Published by Reformation Heritage Books, 2012. Hardback, 63 pages, list price $18.00. Reviewed by OP member Katharine Olinger. "Live to die, that by death you may enter into eternal life, and then enjoy the life that Christ has gained for you by His death. Don't think that just because you are now young your life will be long, because young and old die as God wills" (p. 61). These were some of the last words of Lady Jane Grey—seventeen years old and facing execution. In Simonetta Carr's new book, Lady Jane Grey, the life of this young English monarch is painted clearly for the young reader, both figuratively and literally. It is not a black-and-white chapter book, but rather, because it is meant to be interesting to readers aged 7–12, it is thoroughly illustrated with vibrant paintings as well as photographs and sketches. And yet how could Jane's story be suitable for young readers? She ruled for only two tumultuous weeks before being usurped by Bloody Mary, and six months later she was executed. Wouldn't a story of success be a better guide for children growing in their faith? When Carr subtly addresses this issue, she does it well, pointing to Jane Grey's own words and letters, such as, "Strive, then, always to learn how to die" (p. 62). Carr explains that Jane's story "encourages many Christians with the thought that the same God who preserved and strengthened Jane's faith until the end will do the same for all His children" (p. 54). My favorite aspect of Lady Jane Grey is the author's use of original sources, such as Jane's heartfelt letter to her sister. It's one thing to read an account of her childhood and execution, but to read the dying advice of one sister to another, sisters by birth and faith, is quite another. This book would be a fine addition to any church or home library of one who is seeking to educate children in the way they should go, no matter what God intends for their lives.